LIMITED QUANTITIES! Just in time for the holiday! 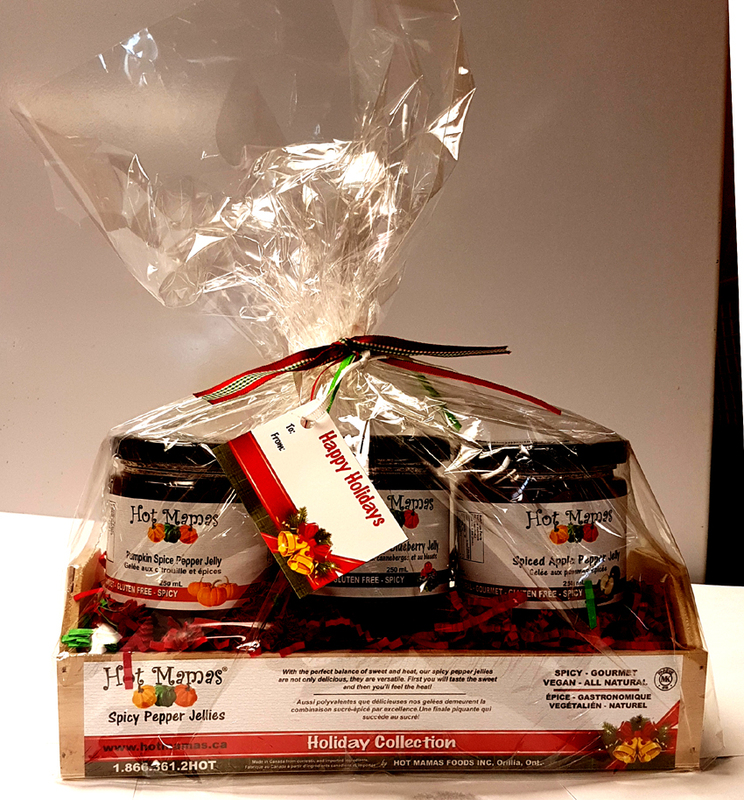 Decorate wooden crate with 3 of our most popular spicy pepper jellies perfect for holiday entertaining. Cards can be customized and is sent directly to your relatives, friends or co-workers...just send us all the details in our comment section. SHIPS BY ITSELF. Do not combine with other orders.